Now-a-days, job markets and job industry has evolved a lot and so are the job skills and job applications or resumes that are changing according to the job requirements and changing times. Now in 2019, this change in job scenario still continues. But, if the job seekers are preparing their resumes as per old formats or patterns, then it is the main reason for not getting many interview calls usually. If you want to impress the recruiters and HR consultants through your resume or CV, then it is high time to change for the better and adopt a more contemporary and modern style of resume formats. While there are enormous advantages of living in a digital age, there are few technicalities that one must keep in mind as well. This is especially true when it comes to naming your Resume Doc File. 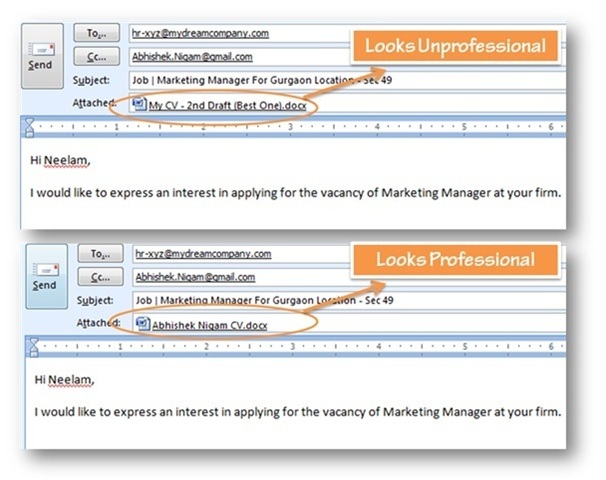 So, if you are planning to upload a Resume Doc on a job portal or going to email it to a recruiter, it is pivotal that give it a proper name. Despite being one of the most obvious facts, any job seekers, even the experienced ones also make this mistake very regularly. Continuing with our theme of digital job markets, today many top brands and corporate houses have adopted Resume Scanning softwares, which go through hundreds and thousands of Resumes and CVs and match candidates to their suitable jobs on the basis of their skill-set and experience. Only those Resumes that make it through this machine scanning are looked at by the HRs. So, it’s very important for you to build a Resume that is scannable and has all the right points highlighted at the right place. It is the another cardinal factor. The whole point of this write-up is to help you format and design a Resume that is contemporary, modern and one that impresses the recruiter at the first instance. And what better way to accomplish all these tasks apart other than format and style of Resumes. Whether you agree or disagree, Resume is basically a marketing brochure that a job applicant creates to impress the employer. So, a certain amount of oomph and charisma is must in a Resume. However, one must be very careful while crafting one’s resume as to avoid going overboard while bragging about one’s achievements and accomplishments. Simply put, subtle self-promotion is what impresses employers and hiring consultants in a resume. Today’s job market is super crowded and the only thing differentiating you forms the other job applicants is your skills. And that is what your future employer is also looking for! So these are just the few salient features that will help you develop a latest and modern resume that is able to impress the HR and get you an interview call. This resume shall also ensure that your skills and potential are truly understood by your future employers. This is the first step towards getting the job as per your skill-set and it will set you on the path to a prosperous career that you will cherish for a lifetime. Next Article How to start your career after college?